Listen to The Florida Roundup from Jan. 25, 2019. 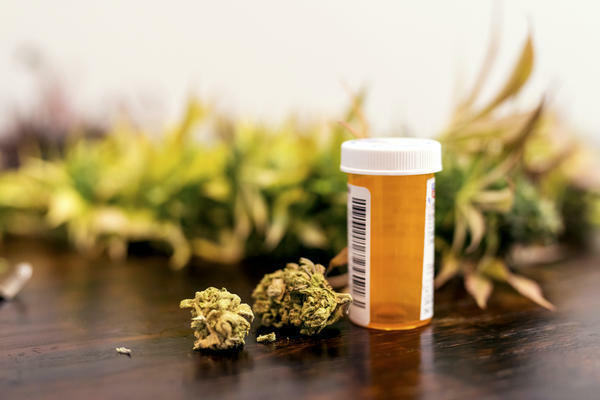 Passed in November 2016, the Florida Medical Marijuana Legalization Initiative, also known as Amendment 2, gave patients the right to use medical marijuana if they have been diagnosed with a qualified medical condition. But its implementation has been controversial. The 2017 bill signed into law by Scott made it legal to access marijuana only when in pill, oil, edible and vape form, but not to smoke it. The state was sued over the smoke issue and lost, but was appealing that ruling. Last week DeSantis announced that he wants to drop the appeal and have lawmakers make it clear that patients can smoke medical marijuana. He directed the Legislature to take action towards the full implementation of the amendment, and said it has until March 15 to do so before the appeal is dropped. DeSantis is essentially saying, "we’re gonna go ahead and have it done no matter what,” Aboraya said. Aboraya said Friday the move could also lower costs. “If you’re going from having to process the plant versus just having a plant available to be smoked, you’re going to be eliminate a lot of the processing which should theoretically be lowering the cost for patients,” he said. DeSantis also announced last week he wants to get rid of so called “vertical integration” for licensed cannabis operators in the state, which requires marijuana operators to grow, process, distribute and sell products, creating what DeSantis has dubbed “legalized cartels.” Such a change would allow operators to be individually licensed, such as for growing or manufacturing. Current law also caps the number of marijuana licenses and dispensaries. And more than a dozen court decisions have ruled that those limitations are also in conflict with Amendment 2. DeSantis has suggested he may also withdraw from additional lawsuits. And it's not just DeSantis who is signaling swift action towards expanding marijuana access. Earlier this month, Agriculture Commissioner Nikki Fried announced that she plans to create a Director of Cannabis position within her department to “oversee all of the different parts of the medical marijuana program that the Department oversees currently.” Nearly all of the state’s medical marijuana industry is currently regulated by the Florida Department of Health, and Aboraya said Friday it’s unclear how the director position will relate to the Department of Health. The 2018 Farm Bill, signed by President Trump in December, classified hemp as an agricultural commodity, effectively removing it from the federal controlled substances list. Fried has said that the hemp growing industry is an “incredible opportunity” for agriculture in Florida. So "the Director of Cannabis could potentially be overlooking the burgeoning hemp industry in Florida,” Aboraya said. The Farm Bill did not legalize cannabidiol, or CBD, which is currently being sold across Florida in products from oils to shampoos to cookies. CBD can be derived from medical cannabis or hemp plants. According to the U.S. Food and Drug Administration, using CBD oil as a food additive or dietary supplement is illegal nationwide. But attorney Sally Kent Peebles, a partner at Vicente Sederberg, a national marijuana law firm providing legal and policy services to cannabis and hemp businesses, said Friday on The Florida Roundup that CBD is not likely to become the target of federal crackdowns anytime soon in Florida. As for the legalization of marijuana for recreational use in Florida? Aboraya said the Florida legislature will not be pushing for recreational use anytime soon. However he said a constitutional amendment is certainly a possibility in 2020. “I think at the base level it’s silly to make a plant illegal,” she said.